After two wonderful days at the Hotel Sofitel, I was picked up by my cousins. The Hotel Sofitel must be the best hotel in Bogota…I can’t imagine better service. Thanks to Mario and his team for treating me so well. I visited my Tia Lucia. I’m certain we met back in 1971, but I don’t remember. She is delightful and has a spectacular view of the city from her apartment. Going to have lunch with her today. Enjoyed the day with my primos (cousins) Maria Eugenia and Eduardo, my Tia Lolo who lives with them, and then got a chance to see their daughter and son-in-law Diana and Jorge. Diana is probably the one person I know best because she had visited the States on two occasions before, however the last one was almost 15 years ago! 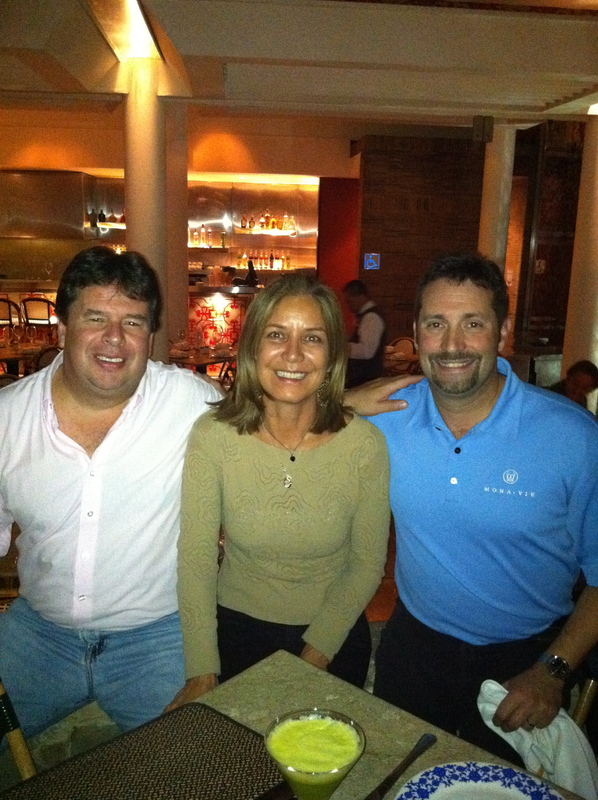 Was invited out to dinner with my cousin Alberto and his girlfriend Sandra. We went to an outstanding restaurant called Club Colombiano (I think). I had this out-of-bounds ( a good thing) seafood chowder in coconut milk. I think there must be some Colombian voodoo going on as it seemed like I kept eating and the bowl never went down! The food and especially the company was terrific. Many thanks to Sandra who helped us as “interpreter;” her English is perfect and Alberto and I can’t say the same about our opposite languages. A great night! Today I will get to meet our exchange student’s parents. I think I will get to spend more time with them than I did with her when we picked her up! One thing I learned that was interesting. In Colombia, there are two days of the week you can’t drive our car. Really. It’s based on the last number on your license plate. Depending on what days that falls in (other than weekends), you have to find another way around. The intent was to get fewer cars on the road, but the result was just the opposite. People started buying more cars so they could alternate when the other couldn’t be driven! The auto dealers must love this law. That’s all for now. I will keep you updated on my adventures!